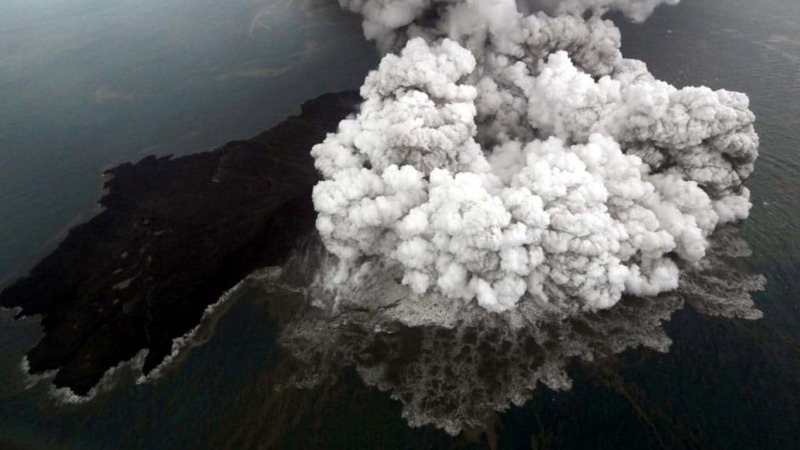 Anak Krakatau had been erupting since June, the last eruption just 24 minutes before the tsunami. 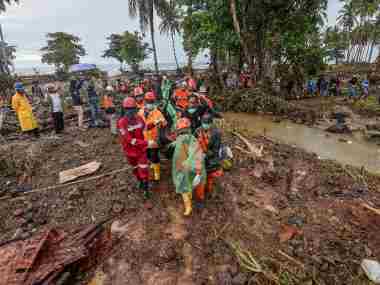 Indonesia's disaster agency said it has dispatched helicopters to drop supplies into a handful of hard-to-reach communities along the shattered coastlines of western Java and south Sumatra. 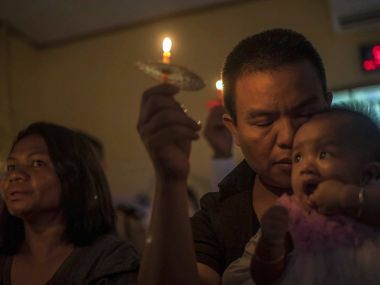 Christmas celebrations were replaced by sombre prayers, as church leaders called on Christians across Indonesia, the world's most populous Muslim nation, to pray for tsunami victims. 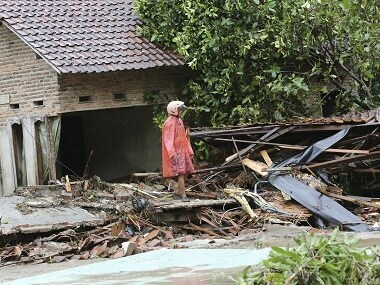 Unlike other tsunamis that have hit disaster-prone Indonesia following large earthquakes, Saturday's big waves blasted ashore at night without warning.